Indeed, designing familiar consumer items is a tricky business. 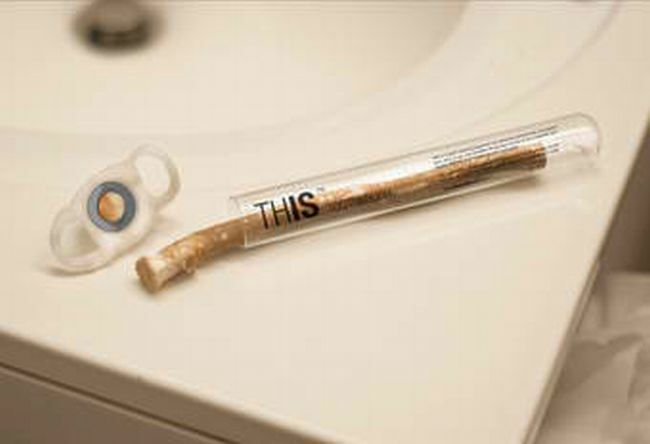 How the heck could anyone possibly reinvent the common household toothbrush? Leen Sadder did and what you see below is a twig. Yes, a twig. It enjoys widespread use across Asia and Africa but is basically alien to the West. To accommodate American/European sensibilities, Leen repackaged the no-nonsense twig and included a cutting tool to reveal its bristles. This doesn’t need toothpaste, by the way. Just chew on it. It works great too. Twigs rock. Don’t you sometimes yearn for the simple life?